Blood will be shed, lives will be lost and friendships will be tested. It all comes down to one decision, and when Grace tries to save all those dear to her, she realises not everyone can be, or wants to be, saved. The rules are simple, do not reveal yourself to humans, perform your duties as a protector and lastly, do not fall in love. Grace has always followed the rules... Until now. Grace is a divine angel, together with her twin brother Archer, they slay vampires, fallen angels of the world. Every generation in the Tate family produces a hunter and protector, so for the orphaned Tate twins, all they have is each other... And their secret. Grace has loved him from afar, the newly single Josh. He's never noticed her, until now. Grace knows what will happen if she allows herself to get too close, she'll fall, in more ways than one. A strange new vampire arrives in town, seeking protection from her own kind that wish to destroy her. She's kind, beautiful and has a soul almost as pure as Grace. So when the higher council insists she be destroyed, how can Grace end the immortal life of a friend that poses no threat. Former angel, now fallen, Seth is leading the charge to drain vampire Charlotte of her blood and essence. Seth and Grace have a past, but neither acknowledge the other, apart from the snide remarks and what is now clearly a loathing acquaintance. Seth has his reasons... But can he keep up the tough guy act? When their world comes crashing down, can love really survive the test of time? Fall For Me was difficult to review without giving away any of the plot twists, so it was best not to stray too far from a safe review. K. A Last has written a unique take on fallen angels, vampire hunters and 'friendly' vampires, that you won't know where your legions lie. Seth was by far the most complex character, and outshone Josh on personality alone. In typical young adult fashion, Fall For Me contains all the popular cliches, the love triangle, instant love, the bad boy and villain, but a young teen audience will eat it up. It's unique, fresh and a fluffy fun take on angels, vampires and the paranormal. Hi Giselle, and thanks for popping by. It was certainly unique and perfect for the intended young adult market. Hush Hush had turned me off angel themed novels, but with a few great ones that I've read lately, I'll certainly be reading a few more now. I'm glad you enjoyed Fall For Me. Thanks for the great review, and for taking part in the tour. 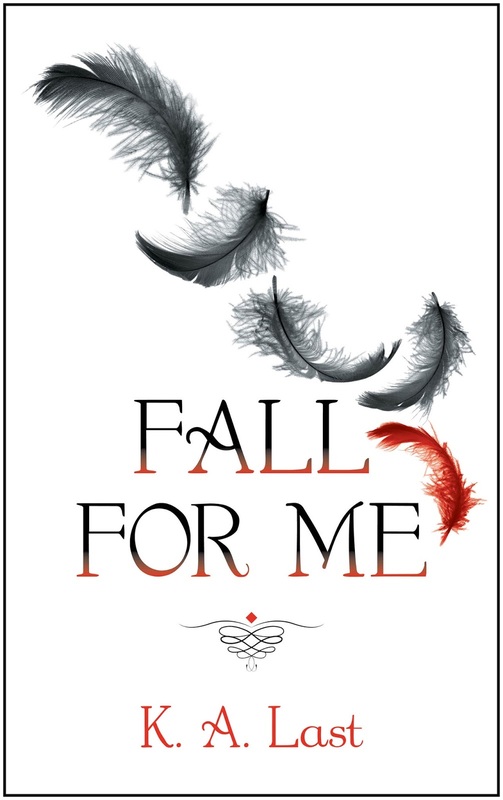 Fall For Me in an awesome book for teen young adult readers, you've brilliantly taken an old and tired theme, and morphed it into an entertaining and unique read. It was my pleasure to read and review.